Home > How To > Fakes, Frauds and Marketing Ploys > Red Amethyst???? There is a man on Ebay who is selling Red Amethyst ( www.redamethyst.com ) and to be honest, it looks extremely fake to me? First of all, as we have discussed here many times, to name something Amethyst when it is not lilac/purple in color is like an oxymoron, right? You name something Amethyst because of the color it is associated with? Second...some of the pieces look almost painted. But could it be hematite or iron inclusions? if so, shouldnt he just say that? So, either I am understandably confused and ignorant, or this is a fraud. What do you think? Have you hit on a BUNCH of points; maybe I can help. 1st, the piece is "sorta" natural; but, several things have happened to make the piece a little unbelievable. Most Thunder Bay amethyst has various degrees of hematite inclusion on the outer skin of the xls, some of the hematite xls are only partially covered (that becomes important in a bit). The color can range from brilliant red to vermillion to sepia. Usually, when the amethysts are thatheavily included, the vugs they were in are also filled w/a nasty red-brown mud that's VERY hard to remove (if you use oxalic acid, the traditional approach), especially if there's intermixed barite in it. That addition can make complete removal nearly impossible. Sometimes, to speed the process, collectors use an enclosed acid-proof container that can withstand mild heating, gently heat the specimen in the acid & it'll remove very tough stains & mud. This is NOT recommended to the average collector & pretty dangerous even for the experienced individual. Here's where #2 comes in. Second, I believe this person used concentrated hydrochloric acid, straight or 50 - 50 mix of oxalic & hydrochloric, which means he came even closer to a boil., & HEATED it in said container. This caused some of the exposed hematites at the base of the xls to turn a bright yellow; something that could have been avoided. I'ld say he heated this to near boiling, which tends to turn the fully included hematite to the reddest it can turn, much like the Indians used to do (throw earthy hematite into a fire) to make the brilliant red pigment for paint (you DID say they looked PAINTed, didn't you?). Lastly, I believe someone used a LOT of added contrast & added color to enhance the pics. These ARE on a computer! Since I know of no name for such hematite included quartz & there is amethyst under it, I'm afraid this term is the best the common person would come up with that describes such material. It's not an official thing & will only be known as this to people into lapidary & the average hobbist; at least it's not as bad as "red emerald"! I can live with this. I didn't realized you were on-line! Thanx for you understanding! do a search on the database here about Thunder Bay Amethyst, you'll find many of them nice red ones. I admit that I have some difficulties to imagine people such as Rob Lavinsky or John Betts selling acidified/cooked stuff, really. Nature has no limits. How many time when I showed up some aqua or topaz cristals people thought they were faceted by man. It looked too perfectly made for them to be the work of nature and were flabbergasted when assuring them that human being has nothing to do with it. So why this colour could not be of fully natural origin ? I have one of these red amethyst (and green one as well) and it looks nice. THe red color on mine has a slight rusty tone, covering the whole termination (not paint but heatite inclusions). Underneath is full purple amethyst color. I am always on the lookout for fake minerals, so I can assure you, Thunder Bay Quartz crystals do exhibit a purple colored core crystal with super bright red inclusions under a thin layer of Quartz. The seller in question, www.redamethyst.com , is a fine dealer and an actual field collector of this material. The odd thing about this is that several people besides the ones on this message board have expressed their concerns about this material as well. I appreciate the info and the verification. I think it may well be that the pictures of these pieces on his ebay site look so bright that it appears the pics have been futzed with in some way to make the contrast stand out more maybe? I do know that as I read some of his feedback that a few folks suggested the actual piece was not as brilliant as the pic, so that could be why there are some questions. If i am not sure, I most definitely get clarification first. And mindat is where I come :) Thanks for taking the time to reply!! Yes, the red is natural, WITHOUT cooking; just not THAT red or ANY yellow, which I believe you missed at the bottom edges of those xls. Also, if you want to know, almost ALL you're quartz xls from almost anywhere where iron & manganese hydroxides are found have been acid cleaned, one way or another. You have vugs that are clear (the lighter red & darker intense reds he displays) & vugs that are filled to the brim w/nasty STICKY red mud, which is impossible to totally remove by simple mechanical methods. I have MANY of such specimens, as I LIKE most original pieces, as reference. Most people DON'T, which is why he AND I (& thousands of other collectors & dealers) have to do this procedure. That yellow staining, though, comes ONLY from the acid cleaning when NOT rinsed properly IMMEDIATELY after each specimen is removed from the "cooker". I won't say how I do it to remove the stain quickly in bulk; but, either method MUST be used (especially if calcite or some barium mineral was present; read his description of associated minerals) or the yellow staining WILL be there to tell on the dealer. Anyone who has acid cleaned Arkansas quartzes will attest to this. If a dealer sells you an acid-cleaned crystal that has a bright yellow stain left in the cracks, the cleaning wasn't done properly. You have to do a final long, long soak in an acid that complexes the iron and leaves the last tiny traces of it colorless. There are several possible media - I personally prefer citric acid, easily and cheaply available in pure crystal form. Well, seeing as you're letting a cat out of the bag, I might as well going further. That IS a good "fixer' & I've used it myself; it's SAFE! But, I've found something better, cheaper, & I make it myself, using chill refining to step up it's natural strength; acetic acid (VINEGAR!). it's near harmless; heated, it stays safe & works within an hr., & the heated specimen drys RAPIDLY, making it stock-ready in 5 minutes after removing from that rinse. Another proces I use prevents the included hemeatite from "redding"; so the specimens stay the natural color. Did anyone notice that the dealer never said he DIDN'T clean these pieces? he's staying honest in not mentioning it; but, not denying it, either. If you ask, he might be forthcoming about it; but, bcs most people get "freaked" (you KILLED the spirit of the xl!) when they learned you used ACID on them (while holding thousands of Arkansas points! ), it's usually not stated upfront. Those in the know already understand this & don't mind it. Hey there, I was actually at this sellerâ€™s site and before deciding to buy I decided I should try and google "red amethyst" before making a purchase, and my first stop was here, the word fraud is a bit catchy. From reading all of your posts I find comfort in the fact that only a few decided to make sensationalist comments to add intrigue. Where as the majority actually took a logical standpoint and questioned the facts. Kristi, funny that you should say that many were disappointed with the coloration of these specimens, when I viewed the sellers feedback, it shows that the seller has over 1600 positive feedbacks, compared to about 16 negatives, and as an ebayer my self I would assume that this suggests that in the grander scheme of things many were actually happy with their specimens and a rare few, actually less than 1% were dissatisfied, of which the majority were complaining about shipping problems. I am not sure if anyone else decided the best thing to do was to email the seller to get more information. Well I emailed the seller and he was very forth coming and friendly in answering some of the questions posted on this board. I was expecting metaphysical dealer type answers to these questions but I was very surprised that he is actually quite astute to the science of amethyst. Q. Do you photo enhance your pieces for ebay, as there are a few comments on your feedback that suggest that the color of your pieces isnâ€™t a fair representation of their actuality. A. Michael, here is a step by step description of how I photograph the amethyst on my site. The lighting I use to photograph the pieces is a combination of tungsten halogen lights and another set of lights that are referred to as 12 noon daylight light bulbs. These are my favorites as they are what is suggested for product photography by many professionals and produce a very sharp and accurate result. I use a Nikon coolpix 995 model camera, which is suggested by dentists for macro photography. I set the camera to maximum image sharpening, macro mode, and I use the manual white balance based on a sheet of printer paper. Finally I use Photoshop to crop the images; sometimes I have to remove dust and bits of rock on the background using a filter. Occasionally I will have to use another filter to remove glare, but this is rarely done. Other than that there is no alteration to the photos and no color enhancement. Q. Why call your amethyst red amethyst, arenâ€™t they actually amethyst with hematite or iron, and doesnâ€™t amethyst by definition of the word mean purple making red amethyst an oxymoron? A few say that calling amethyst red is a fraud. A. I love this question, a quick Google search will reveal that the word amethyst originates from the Greek, while there is some discrepancy over which word it was derived from Amethysts, Amethustos ectâ€¦. amethyst came from the ancient Greek describing the metaphysical properties of the gemstone both words having similar meanings of sobriety. The earliest color association of the word amethyst was with wine, which in some instances has a very deep reddish and almost purple coloration. In modern vocabulary amethyst was associated to various hues of purple, because the majority of amethysts were a purple coloration so it became common to call a certain variety of purple amethyst to distinguish it from others. Much like how you would call a certain hue of yellow canary yellow. So while we are on the topic of literary devices oxymoron the correct one for defining the relationship between amethyst and color would be a simile where the associated meaning of one word in this case, amethyst (which is usually connotative of a range of purple hues) is used to describe another, respectively the color purple, so the more appropriate use of amethyst would be purple like amethyst. To go further with you question as to whether red amethyst is in actuality hematite or iron included amethyst I offer this. Yes the majority of amethyst that is red is either coated or has inclusions of hematite, iron and in some rare instances as I have been told molten. In even rarer instances I have come across amethyst that is a solid red coloration through and through, and produces this same coloration when faceted. What I think is lacking is a complete understanding of how gemstones and minerals are colored. In essence gemstones are minerals that achieve coloration from impurities. Take a ruby for instance, which is the mineral corundum with the added impurity of chromium, where the visible photon is excited directly by the impurity causing the wonderful coloration of red appearing in a ruby. Amethyst much like ruby achieves itâ€™s coloration from an impurity, although instead of the visible photon being excited directly by the impurity the visible photon in amethyst is excited by an unstable species commonly called a color center which results from the unstable species caused by iron impurity absorbing the visible photon causing an excited state and hence coloration. So in actuality red amethyst is amethyst made red in the tips from exceedingly high levels of iron which crystallize into hematite, causing a red color center. Does this not entitle this form of amethyst to be given the observational term of being red amethyst. Much like how you would describe a topaz that appears yellow from iron impurities, or how about the wide array of fluorites in pink, green, blue ect.. So yes I could call these forms of amethyst hematite amethyst, or amethyst reddened by extreme iron impurities. But I have chosen not to, impart based on marketing and mainly because I feel that the title red amethyst best describes the pieces which are naturally red and are amethyst. I do of course understand the plight of the of the science orientated collector, and I have received a few emails of this tone, but if you know that the redness is caused by high saturations of iron during development why do you need the clarification of exacting scientific titles. Yes I do agree that the science of mineralogy is an essential aspect, but this much like in all areas of consumerism is subject to the vendor discretion as to what suits their consumer base the best. Has any one ever heard of cocoa butter var. Phenylephrine HCI, var. Shark Liver oil, probably not as it is given a common trade name to appeal to their consumer base and make for ease of advertisement and recognition of what it is. Q) Do you heighten the coloration of the crystals through the use of cleaning compounds and heat? A. By now I have read the post where all these questions are coming from, so what ever I havenâ€™t answered yet I will answer here, and thank you Michael for offering to post this reply. I guess I will address this to the poster; Mr. Garza, you are very right in mentioning the dangers of heating stronger acid compounds and I neither use or condone this method by any means, as hydrochloric and its stronger neighbor hydrophloric acid can cause server damage to lungs when heated, even in highly ventilated areas. So unlike the Indians, or Native American/Canadians as they preferred to be called, you mentioned, I do not heat blast the amethyst to falsify the coloration, and hence paint the amethyst as your brilliant play on words would suggest. With regards to the infrequent yellowing at the base of the crystals, I must admit that on the occasion I miss a few spots and a bit of iron gets left behind. Lastly Mr. Garza, your interpretation of me as a common person goes in context with the rest of your presumptions, and I will happily let you know that at the age of 27, I am assured that I have far surpassed your level of formal education. To every one else thank you for taking the time to read these post and for being concerned consumers, of this is what makes our continent great. And thank you most for avoiding ill informed presumptions and for questioning them. I think what Steve was commenting on is the fact that most mineral specimens do not come out of the ground looking like the finished product of what youâ€™re buying or selling, as a field collector myself I know this too. Most quartz comes out of the ground with oxide coatings; these are removed by acid baths in most cases. It was a friendly discussion until an insult on education was introduced. Iâ€™m sure that most of the people here on Mindat agree that such character remarks should be left off board. Also with all the ebayers out there that are deceiving folks, better be safe than sorry and have all my ducks in a row, right? So do not diss Steve who took a great deal of time explaining to me about cleaning crystal (with the patience of a saint, I might add). 1st, I mentioned NOTHING about your education level or accreditation, though I find mention of the hydroFluoric interesting. 2nd, the phrase "With regards to the infrequent yellowing at the base of the crystals, I must admit that on the occasion I miss a few spots and a bit of iron gets left behind" means you are using acid, maybe straight super-concentrated oxalic acid mix. If you are heating it more than 100 degrees F, the acid will change that hematite (found this through sad experience using a ceramic crock pot set on low for only 2 hrs). Oxalis tends to facilitated further hematite oxidation, lowering the conversion temp substantially. Even amethysts without apparent Fe inclusions can be effected thus. I turned an excellent batch of amethystine clustered quartzes into citrinish crud, again, in about 2 hrs. ; however, the 1/2" of "limonite & wad" WAS removed. Going back to room temp processing prevented this. This also means that "heat-blasting" can occur UNintentionally, if the piece is completely buried in the Fe junk. 3rd, I DO use that 50- 50 mix, outdoors & far from the house, in a ceramic crockpot on mostly uncolored or colored by other than Fe compounds quartzes; opening the pot from upwind on steady breeze days & handling with high-temp plastic tongs. 4th, I also use Adobe photoshop, but, I use it strictly to correct what I'm viewing to match the true specimen, putting both side-by-side. For me, lighting & photoreceptor response WILL be compensated for; the pic & specimen match or I don't send it. Lastly, even the most uncomon people use common methods; this doesn't change the person. I had the opportunity to examine the Thunder Bay amethyst inclusions back in the 70's. They were actually quite intriguing. I recall two prevalent types: the first was acicular sprays of goethite (which many of the folks involved in mining the stuff insisted was cacoxenite - so keep an eye on old labels for errors.) The second was circular, almost 2-dimensional patches of red iron oxides. The later (in the instances I saw) tended to form a discrete layer, as if someone had spritzed some spray paint on the specimen. Either oxide was then encased in an extremely thin layer of colorless quartz. It would appear that towards the end of the crystal growth cycle there was a significant change in the solution chemistry causing the dissolved iron to drop out as oxides. It would be fun to see how specimens from 30 years ago compare to what's being taken from the ground today, after mining has progressed spatially in the region. It would certainly make a fun project for ungrad students (hint, hint). I apologize for getting a bit touchy, and I took the term common person out of context, so please accecpt my apologies. Definately you use a more concentrated solution than I do, I have a blend of 4 acids specifically mixed for me, this gentleman thta I deal with is wonderful he will create any blend of chemicals that you request, with professional guidance in small quantities for a very reasonable price. If any one would like I will happily forward his contact details, as in most instances aluminum cleaners which are not even readily available in canada especially dont completely do the job. I believe that my mix has about 17% hydrocloric, I have tried about 50 combinations and the one I use now is by far the best. I generally clean about 10,000 specimens a year so some of the smaller less asthetic pieces do not get the same detail, hence the yellowing, from unremoved iron oxides. I dont heat at all, not because I was aware of the potential changes in color but primarily because of health risks. What I do do though that is very important to steralize the acid is to prepare a baking soda bath for then they are removed to neutralize the acid, otherwise there will always be reisidue. What I would be very interested in information wise is a compound that will remove barite, the ugly pink kind as I have many very fine pieces that are coated in this barite making them incredibly unattractive. Any info and I would happily send some one some free amethyst for the info. had the opportunity to examine the Thunder Bay amethyst inclusions back in the 70's. They were actually quite intriguing. I recall two prevalent types: the first was acicular sprays of goethite (which many of the folks involved in mining the stuff insisted was cacoxenite - so keep an eye on old labels for errors.) The second was circular, almost 2-dimensional patches of red iron oxides. The later (in the instances I saw) tended to form a discrete layer, as if someone had spritzed some spray paint on the specimen. Either oxide was then encased in an extremely thin layer of colorless quartz. It would appear that towards the end of the crystal growth cycle there was a significant change in the solution chemistry causing the dissolved iron to drop out as oxides. instead goethite. The "spritzed" pieces are the most common to the thunder bay area, and I also find them quite unique when examined up close as from afar they appear to be solid red but from up close there are actually thousands and thousands of tiny red speckles. You had asked about the molten statement, this was not my own, a German collector about 3 years ago studied about 12 different types of the amethyst that I mine and he wrote me back telling me that he had found a molten on one of the pieces, unfortunately I wasnt able to get back in tough with him after that, still cannot understand why. I would be happy to donate a few pieces for study, all I require is some sort of link or mention on a website, and a copy of one of the best sets of findings for use in publication as I am writing a few articles on Canadian amethsyt currently. Of course I would happily give mention to the student if their material is used in the article. About your mix & the person making it for you. Ask if he is adding acetic or citric to the mix. Here's why: try to think of chem processing of ANY mineral, that uses multiple steps as making a cake; some ingredients & processes occur at various stages & can't be done all at once or you WON'T end up with the same result. Worse, some very nasty things can happen that are in the exact opposite direction as you intended. Such is the case, especially when using normal & organic acids. As mentioned, I use a 50 - 50 mix of oxalic & hydrochloric, COLD, for amethyst cleaning; I use that bcs oxalic doesn't appear to facilitate oxidation. through experimentation, I found the others do, most dramatically & they don't require ANY heating. Although I use the acetic AFTER the first treatment, to completely remove the yellowing salts, this happens bcs there's no reinforcing 1st mix to change what comes out. I heat the acetic to 80 degrees to make a 4 hr. process into a 1 hr. step (combined processing is 2 hrs/batch); BUT, no higher! Are you up for 2 experiments, that might show you what can happen? 1st one involves using your mix (if Mr. X says he does use an organic other than oxalic), a small piece of dingy copper, native or a piece of copper pipe, a container that won't cause a problem, & about 1 hr. time. Hydrochloric will clean copper, so will acetic (just takes longer); so, you should end up with a piece of really clean copper. After one hr., the dinginess WILL be gone; HOWEVER, the copper will be BRIGHT red! While drying, it'll get even REDDER! This is bcs a film of copper oxide (cuprite) forms, instead of leaving a shiny piece of plain copper. I've found MANY supposedly native copper overgrown by cuprite specimens that were "natural" that were actually similarly processed (most people are too lazy too realize they need to rinse these pieces in DISTILLED water, not tap water); the marking detail of said is the RAPID deepening to maroon of the cuprite. It seems SUPER sensitive to airborne sulphate fumes. Try this with a nail & you'll see the same. 2nd also involves a small amount of your solution(about 1/4 cup), baking soda (about a tablespoon), a really rusty nail,a tall CLEAR container (I used a salad dressing jar), & about a day's time. Soak the nail for a day in the mix in a tall container(this is to protect yourself, remove the nail, then add the baking soda (the tall jar prevents splattering & the resulting fizzing can't escape past the top). You should see the IMMEDIATE formation of iron hydroxide "snow", as well as the fizzing. This snow is the lepidocrocite form of iron hydroxide, which is MUCH redder that the goethite form that would have been the original covering, for the most part, on your specimens. That 2nd step I & Alfredo (using a different organic acid, same results; change these unstable chlorides to a colorless SAFE stable iron (slip your fave organic acid here)-ate that's much more water soluble), SEPARATELY, prevents this. For your barite, have your Mr. X mix you up some "aqua forte", a mix of hydrochloric & nitric. Handle the processing the same as I related to using my 50/50, complete with plastic tongs; but, WITHOUT the heated crockpot. Using a ceramic container is cool, though. It'll take about a week, but, it WILL work! Thick coverings will take double time (I also mentioned I remove barite from those pieces; now you know how). Use a lot of solution/specimen or equalibrium will be reach too fast & stop the action. figure about 3 hand-sized pieces/gal.. Rinse the pieces with distilled water between step 1 & 2 & the end of step 2. Since the barite will be partially intergrown, in varying degrees, into the quartz, don't expect great faces to be exposed & may be downright crude. AAron, are you selling anywhere? Now? Last year I bought some amazing specimens from you but I see that all your ebay listings have closed. Are you off ebay for good? Steve, a mix of hydrochloric and Nitric Acids is called Aqua Regia, not "Aqua Forte". Oddly, Aqua regia turns red or orange quickly after preparation. It is one of the few acids that can dissolve gold and platinum, which form complexes upon dissolution. Aaron, your specimens are wonderful. I have bought many different types and would like to collect more. Are you still selling online? Your link is no longer on ebay. Aaron told me he was quiting eBay completely and going to school full time, sometime last year. So, I was figuring he was staying true to his word when his store disappeared. Too bad...those were fun specimens! Hi Everyone, Interesting reading here.I have a 55# piece of "red" amethyst. I got it out of our mine here(Thunder Bay)at the end of the blasting season-don't see many like this. I would like to clean it up(it's straight from the ground) and sell it on ebay. But not having the experience( I sell everything raw right out of the ground usually) I can't figure out whether I should acid it or leave it and sell it "raw". I would like to clean it up and make it shine though. I've att'd a pic but don't see it when I preview? so you can email me back and I'll send it to you. Which is not only glaringly simplistic, but in itself shows a complete lack of undestanding of how minerals are coloured. That statement only applies to one distinct category of coloured gemstones; i.e. those termed "Allochromatic". These are the coloured varieties of minerals which are colourless in their pure state, whose colour is due to chemical impurities (usually ions of transition elements). 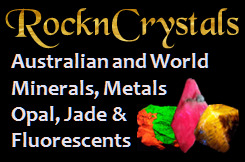 Ignoring other complications in the causes of colour, such as colour centres (lattice defects), charge-transfer effects, or structural effects such as the diffraction and optical interference which give precious opal and labradorite their colours, in simple terms, allochromatic gems can be said to include, for example, all the coloured varieties of corundum, quartz, beryl and jadeite. Although a large proportion of coloured gemstones are allochromatic, there is also another major category of coloured gems whose colour is an intrinsic property related to ions in their essential composition, and has nothing to do with "impurities". These are the "Idiochromatic" gemstones, and well-known examples are the garnets, malachite, peridot, rhodonite and turquoise. Yeah, I'll slap that pony one more time! I just got back from Blue Points and cleaned all my amethyst with Super Iron Out. They all came out free of iron and clay. Can you detail to me what the other acids are doing to the quartz (other than your barite mix). They're not changing the luster or anything are they? HFL is the only think I know that will do that! I know many dealers shy away from SIO because of cost and "old dog syndrome", but of course that would not be you! Bob is a little harsh but correct. Amethyst by definition is purple. However, the Amethyst from Thunderbay often has red hematite inclusions which can render the specimens brown red to almost bright red. (Watch out for photo shopped red photos on the net). Green is a real outlier for Thunderbay. Although one could imagine an amethyst included with chlorite or some other green mineral, I know of no such locality. You say you have a 54 carat red raspberry amethyst, presumably a cut stone. Included stones are not homogeneous in colour. I suspect your stone is a pale amethyst with red dots and blotches that give it an overall reddish hue. I am at a complete loss to explain your "green amethyst". Edited 1 time(s). Last edit at 06/11/2016 05:11PM by Rob Woodside. Although very rare, there is a green quartz called Vermarine, or more rightly Prasiolite that is often mistakenly referred to as "green amethyst". Almost all natural prasiolite comes from Brazil, but I have heard of some coming from around Pearl in the Thunder Bay area as well. Because it is rare naturally, the most common way to get prasiolite is to heat treat amethyst then radiated it, since most amethyst will turn orange/yellow when only heated, producing citrine. Bottom line, "green amethyst" does not exist! 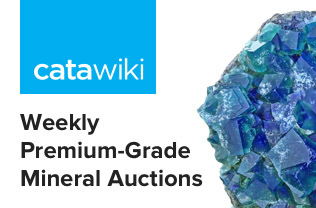 Once again we have a discrepancy or misunderstanding about the names of MINERALS and GEMSTONES. While there is no such thing as green amethyst, the original wording, which has been basterdized, of the treated gem material was GREENED Amethyst. I think you can now see where the mistake has been made. Most likely a reference on a TV shopping network or on line. Gary, How is it "greened"? What does it look like? Some amethyst when it is heated, will turn green instead of to citrine. There are a few natural occurrences where amethyst has been heated by volcanics. As Bob said above, there is a natural occurring Prasiolite, heated by nature, just like the natural Citrine. They use heat and irradiation to color the Amethyst Green. By [beaver-structure]! I have a lot of specimens of white amethyst. Hi, I've been reading about the arguments regarding red amethyst. First let me state that I have no experience with rocks, stones or minerals. I have a long time friend that lives in Morocco. He recently purchased a large lot of "red amethyst ". I've enclosed some pictures for your perusal. Is this not the correct name for these? I'm assuming that different locations and the amount of iron oxide and other minerals will determine the color. Also regarding the rocks to the left of the bucket. I believe that these would be a "host" rock from whence the crystals would grow from. Do these have value? And if so, how would they be graded ? I appreciate your help. Edited 1 time(s). Last edit at 10/31/2016 08:23PM by Debbie Maffia. "Amethyst" is, in its simplified definition, purple quartz. "Eisenkiesel" is, by definition, quartz colored red by hematite inclusions. Your material is probably a combination of both. Since there is no official body tasked with defining mineral varieties, you have some latitude in what to call it. You can call it "red amethyst" if you like... Some pedants might get upset, but who cares? I'd call it "Amethyst with hematite inclusions", or "Amethyst eisenkiesel" myself. As for grading it... again, entirely up to you. Grading is a matter of personal taste, plus accurate description: Is it aesthetic? Are the crystal points perfect or bashed up? Ask yourself those questions for each piece individually, then grade them any way you like. If you're not selling them, no one will care. If you are selling them, then your customers will complain if your descriptions are misleading. Other than that there are no rules for grading "red amethyst".